All forms of conjunctivitis — including bacterial, viral, allergic and other types — involve inflammation of the transparent, mucous membrane (conjunctiva) covering the white part of the eye or sclera. Infectious causes of an inflamed eye and conjunctivitis include bacteria, viruses and fungi. Non-infectious causes include allergies, foreign bodies and chemicals. The phrase "pink eye" is commonly used to refer to conjunctivitis, because pinkness or redness of the conjunctiva is one of the most noticeable symptoms. Bacterial conjunctivitis is a common type of pink eye, caused by bacteria that infect the eye through various sources of contamination. The bacteria can be spread through contact with an infected individual, exposure to contaminated surfaces or through other means such as sinus or ear infections. Allergic conjunctivitis can result when your eyes encounter a substance to which they are overly sensitive, such as pollen in the air. As with any bacterial infection, antibiotics are required to eliminate the bacteria. Treatment of bacterial conjunctivitis is typically accomplished with topical antibiotic eye drops and/or eye ointments. The treatment usually takes from one to two weeks, depending on the severity of the infection. Viral conjunctivitis is another common type of pink eye that is highly contagious, because airborne viruses can be spread through sneezing and coughing. Viral conjunctivitis also can accompany common viral upper respiratory infections such as measles, the flu or the common cold. Treatment of viral conjunctivitis usually involves supportive therapies, such as eye drops, that help reduce the symptoms: for example, vasoconstrictors to whiten the eye, decongestants to reduce the surface swelling and antihistamines to reduce occasional itching. Treatments usually are continued for one to two weeks, depending on the severity of the infection. Gonococcal and chlamydial conjunctivitis are bacterial forms related to infections from sexually transmitted diseases including gonorrhea and chlamydia. Newborn babies may be exposed when they pass through the birth canal of an infected mother. Trachoma is a form of chlamydial infection that causes scarring on the eye's surface. Trachoma is the world's leading cause of preventable blindness. Another type of sexually transmitted disease related to the herpes simplex virus type 2 found in the genital area can infect eyes of infants as they are born. Herpes simplex virus type 1, a cause of cold sores on the mouth, also can cause a type of eye herpes that results in pink eye. If you are pregnant and suspect you may have a sexually transmitted disease, you need to be checked and possibly treated for any infection before the birth of your baby. In the United States, an antibiotic ointment often is applied as a basic standard of care for newborn infants, to help prevent the possibility of certain eye infections. Allergic conjunctivitis caused by eye allergies is very common. Eye allergies, like other types, can be triggered by allergens including pollen, animal dander and dust mites. The most common symptom of allergic conjunctivitis is itchy eyes, which may be relieved with special eye drops containing antihistamines to control allergic reactions. These eye drops are available both over the counter and by prescription. Avoiding the allergen is also important in the treatment of allergic conjunctivitis. Allergic conjunctivitis can be seasonal or perennial (year-round), depending on the allergen causing the reaction. Giant papillary conjunctivitis (GPC) usually involves both eyes and often affects soft contact lens wearers. This condition may cause contact lens intolerance, itching, a heavy discharge, tearing and red bumps on the underside of the eyelids. You'll need to stop wearing your contact lenses, at least for a little while. Your eye doctor may also recommend that you switch to a different type of contact lens, to reduce the chance of the conjunctivitis coming back. For example, you might need to switch from soft contacts to gas permeable ones or vice versa. Or you might need to try a type of lens that you replace more frequently, such as disposable contact lenses. GPC can also result from artificial eyes (prosthetics), stitches and more. Your eye doctor will decide if removal is appropriate. Certain forms of pink eye, including giant papillary conjunctivitis, can be caused by the eye's immune responses, such as a reaction to wearing contact lenses or ocular prosthetics (artificial eyes). A reaction to preservatives in eye drops or ointments also can cause toxic conjunctivitis. How Long Does Pink Eye Last? 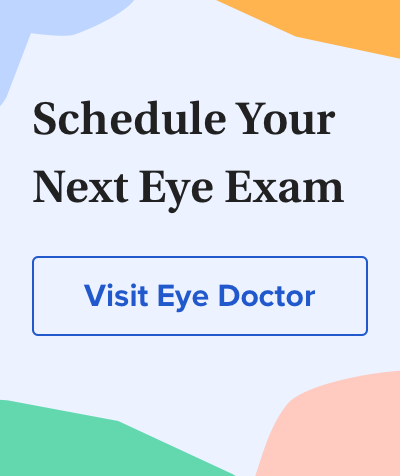 | How Long Is Pink Eye Contagious?